We’re all familiar with the story of Pakistani education activist Malala Yousafzai, the world’s youngest Nobel Peace Prize winner, activist and author who was shot in the head by the Taliban for advocating the education of girls in Pakistan. She is often called the most “influential teen” in the world and is seen as a role model to many. But it’s when we see the actual influence of that role model in other people’s lives that we truly grasp the impact they are having in the world. 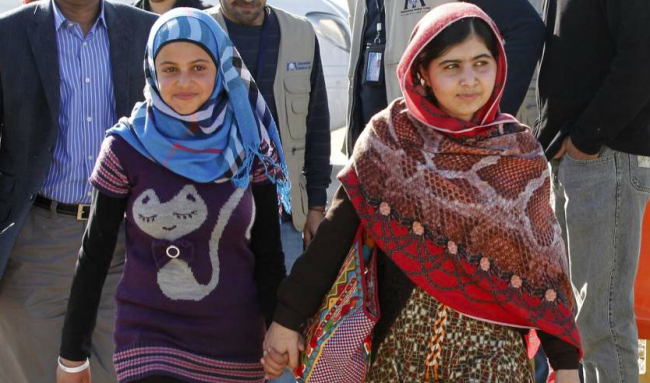 Accolades aside, Malala is having a profound effect on the world today, especially in the life of young Syrian teen girl Muzoon Almellehan. Muzoon is an 11th grade girl who currently lives in a refugee camp in Jordan due to the civil war which broke out in 2011. Her passion is to see less child marriage among her peers and more girls have the chance to be education, just like Malala! 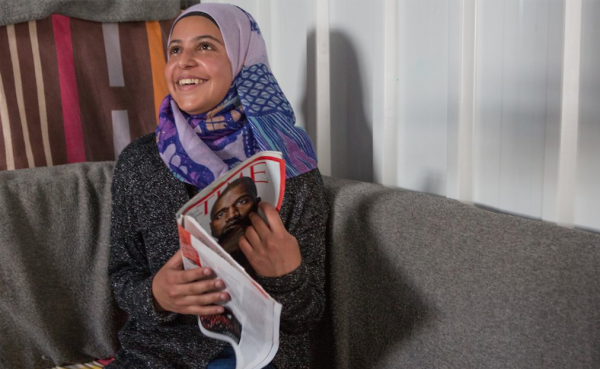 She is now being dubbed “the Malala of Syria” for her passion. In a profile on The Daily Beast Muzoon says she is angry because girls in her school are constantly dropping out to get married. “I try to tell them, but they didn’t listen. They don’t see the negative effects, but there is no reason for early marriage here,” she said. Muzoon has been campaigning against child marriage for 2 years and with no end in sight for the conflict in Syria, circumstances are grim. For many parents, marrying off a girl at a young age is their only chance of survival in the conflict zone where poverty increases every day. Originally from the city of Daraa, Muzoon and her family fled the country and since 2013 have been living in Za’atari refugee camp. She and her siblings were enrolled in the local school by her parents. 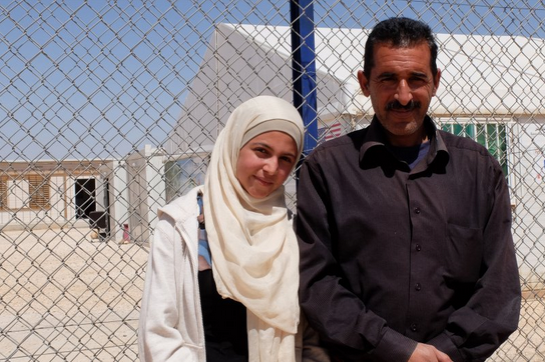 Child marriage wasn’t as prevalent in Syria previously, she says, but because of the desperate situation in the camps, education isn’t seen as a high priority for girls which is something Muzoon is adamant about changing. “A lot of them thought education for a girl was unimportant. They were [using] all different reasons, but not one single reason was good enough to drop them out of school,” she says. In 2011, at the outbreak of civil war, around 12 percent of underage girls were married both inside Syria and within Jordan’s Syrian refugee community. In 2013, a quarter of these girls in Jordan were married. By the first part of 2014, that figure had spiked to one-third, due to both the increasing practice and rising number of refugees, according to UNICEF. In February in this year, actress and humanitarian Angelina Jolie wrote a piece in the New York Times about visiting the Syrian refugees and how each time she has visited, she sees the situation getting worse. Her call was to governments to do more. “At stake are not only the lives of millions of people and the future of the Middle East, but also the credibility of the international system. What does it say about our commitment to human rights and accountability that we seem to tolerate crimes against humanity happening in Syria and Iraq on a daily basis?” she said. 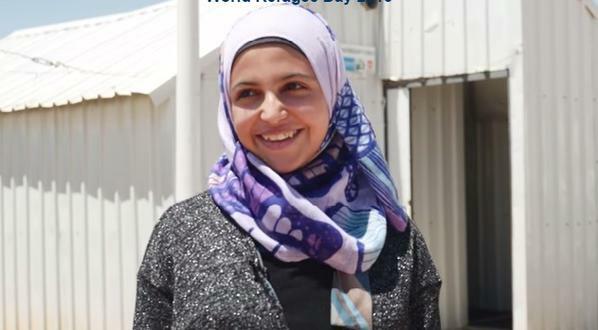 While the situation remains critical for everyone in the camps, but especially vulnerable people like women and children, it is heart-warming to see a generation rise up and take control of the situation with what little resources they are given. Even though the minimum age for marriage in Jordan is 18, it is becoming increasingly easier to get special exceptions. It was organizations UNICEF and Save The Children which first noticed the upward trend of child marriage happening in the camps, so they enlisted the help of the youth to become activists and spread the word about why this needs to stop. Muzoon was one of those young girls involved. She has been speaking to parents who listen to her effective way of talking about the dangers of child marriage. “Lots people were listening [to me], even fathers. Because I wouldn’t tell them in a forceful way, or say, ‘You have to send her to school.’ I’d initiate the debate and say girls’ education helps them the most,” said Muzoon. Her own father Rakan, like Malala’s father Ziauddin, is a big supporter of Muzoon’s activism and that can often be the key difference for girls living in a patriarchal society. “I didn’t really do much except encouraging her and her siblings to study. Most of it came from Muzoon herself, she’s always been a special girl,” said her dad Rakan. Her passion has actually worked and she has stopped a few girls from getting married too early. These days Muzoon dreams of getting a Ph.D and wants to become a professor in journalism. 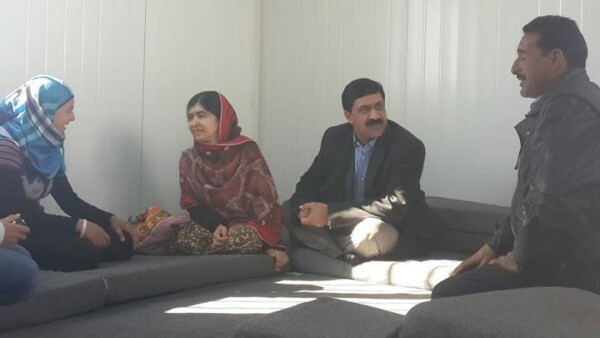 Her ambitions were given an extra boost when she got to meet Malala in person when the Pakistani activist came to visit Syrian refugees in early 2014. That meeting led to a friendship and when Malala was announced as the winner of the Nobel Peace Prize, she invited Muzoon and a handful of other young female activists to come and accompany her to Norway. Malala was recently named one of Time magazine’s ‘100 Most Influential People’ for 2015, and each person featured had a short essay written about them by another notable name. Muzoon was asked to write the essay on Malala, where she describes her as an inspiration and the person who enabled Muzoon to become stronger. “I have seen too much wrong to not use my voice. Malala has shown that education is crucial for laying a foundation for girls and boys to have secure lives,” she wrote. Muzoon is far more fortunate than many other girls her age to have parents who support her education. Studies show that for every extra year of schooling a girl is able to get in the developing world, her potential to earn an income increases 10-20%, and marrying later can reduce the fertility rate by up to 10%. Child marriage may be seen by some as an easy way to gain security, but in the long run it hurts the future generations of children who deserve to have this cycle of conflict and poverty broken. 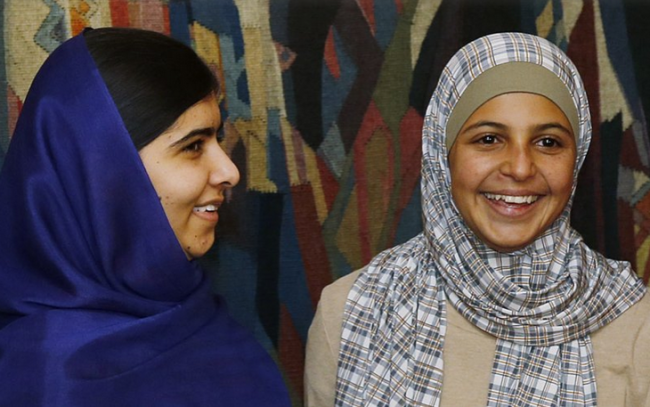 Here’s to many more Malala’s, and Muzoon’s, sweeping the world and changing people’s lives.